That's our motto and by joining the Cowboy Chapter of Austin, you can accomplish both. If you enjoy group riding and family oriented fun, we would love to have you as a part of our chapter. We are a very active Chapter with a variety of rides and events scheduled throughout the year. We have a lot of activities planned to make your riding experience a fun activity for you and your family. If you have never been a member of a H.O.G.® Chapter, you will find that it is a great way to meet new friends with whom to ride, participate in chapter activities and have a lot of fun! Going to H.O.G.® Events allows you to hook up with old friends and make new ones. 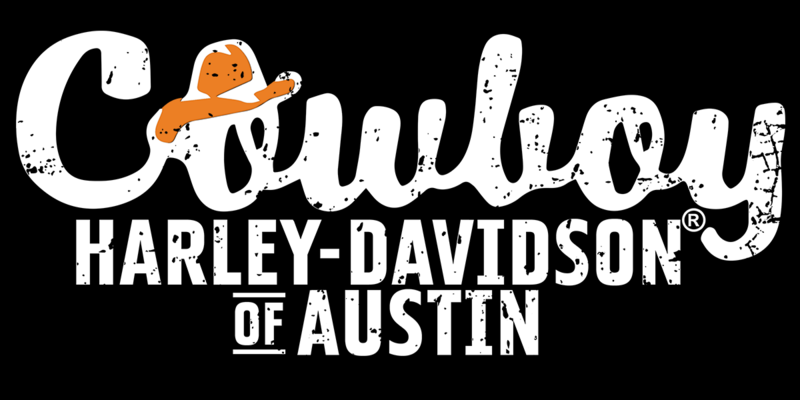 As a member of the Cowboy Chapter of Austin 2085, you are encouraged to attend our General Meetings held the second Saturday of each month at 10:30am at Cowboy Harley-Davidson® of Austin. This is a great time to socialize, get together with old friends and find some new ones. We discuss Chapter business, distribute information about rides, events, activities for the comings months and play some fun games. You can get the latest information from the events calendar on the website which lists both H.O.G.® and general biker related events in the Central Texas area. Don't be shy... walk up to someone, stick out your hand and introduce yourself. The Chapter Hotline number (512-292-9723) is available for updates on rides in the event of inclement weather.